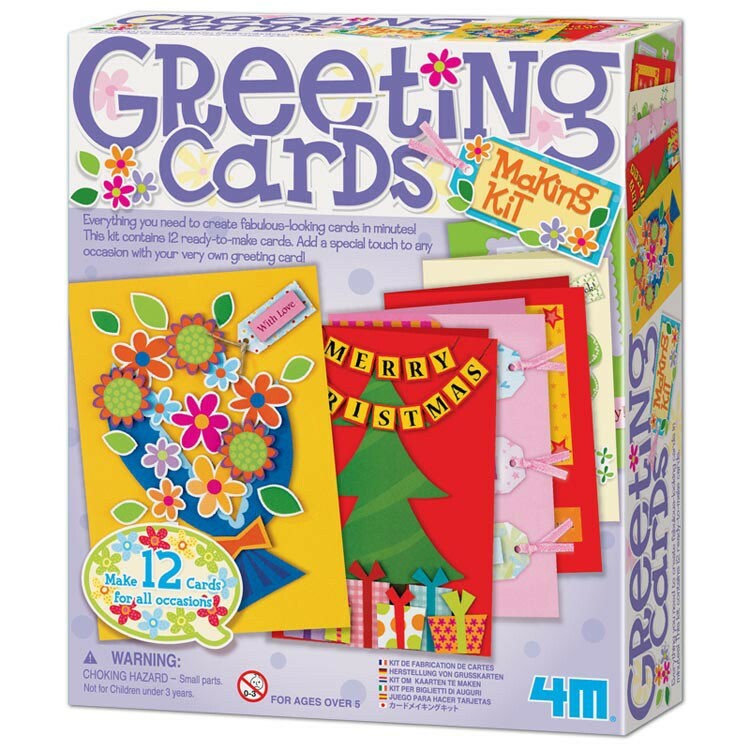 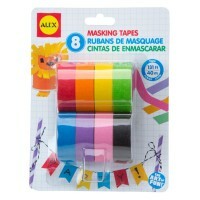 This creative craft kit allows you to design and make your own greeting cards on any occasions! 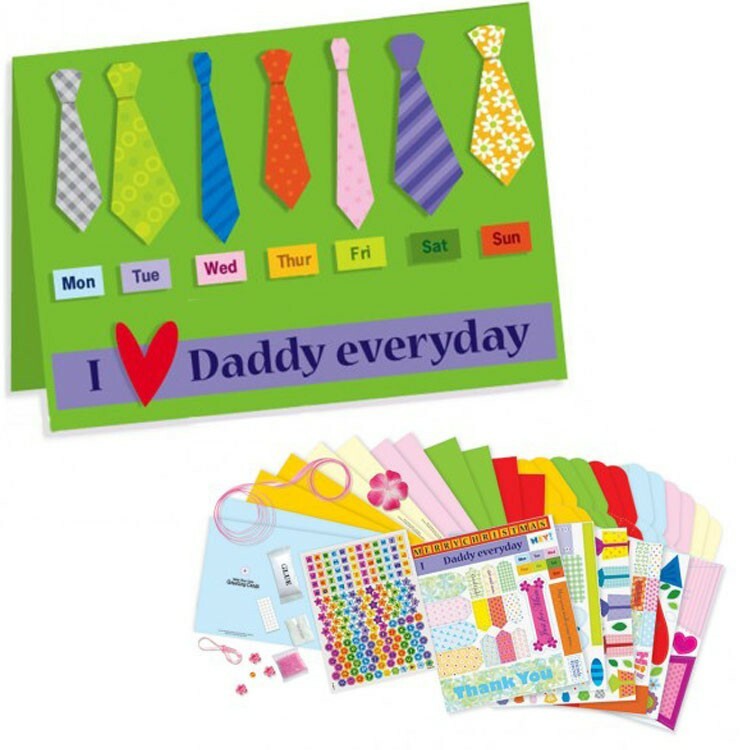 Kids love creating their own cards for family and friends. 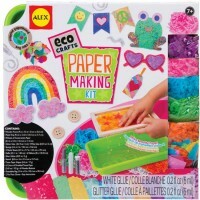 The Greeting Cards Making Craft Kit brings all the supplies to decorate 12 one-of-a-kind greeting cards for any occasion. 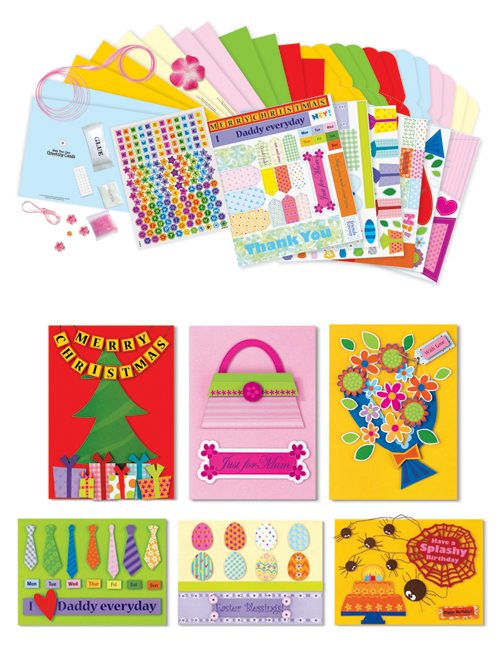 This greeting cards decorating kit comes complete with the blank cards, 12 unfolded envelopes, 6 sheets of pattern templates, colorful alphabet stickers, assorted ribbons and decorations, double-sided scotch tape, glue, and illustrated instructions. 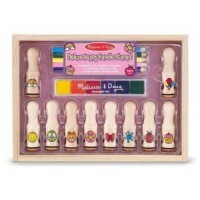 With this card craft kit children can make the Happy Birthday cards, Thank You cards, Mother's Day or Father's Day cards, invitations or just a unique greeting card for someone they care about. 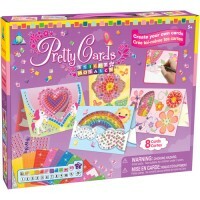 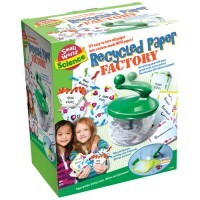 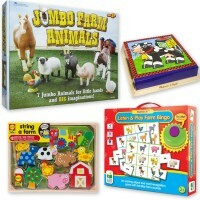 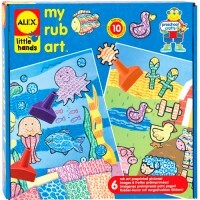 Greeting Cards Making Craft Kit from Educational Toys Planet is a great gift for creative girls and boys. 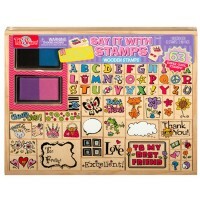 Dimensions of package 7" x 2.25" x 8.5"
Write your own review of Greeting Cards Making Craft Kit.